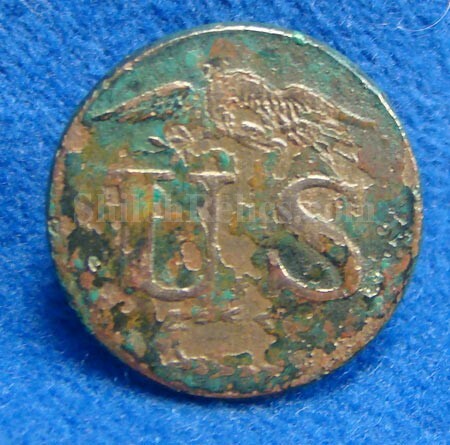 Here is a very attractive excavated coat size general service U.S. coat button. This is the pattern used during the 1820’s and 1830’s. It has the bold "US" letters above a wreath and the spread wing flying eagle up above. The detail is still nice and legible. 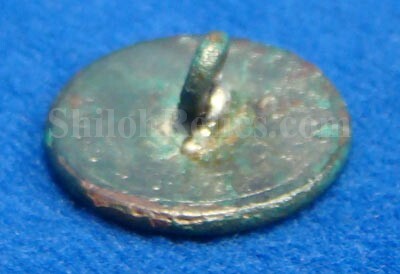 This is the 1-piece style button and it has the original shank on the reverse. This is the style listed as figure GI70 in Albert’s book and GEN199 in Tice’s book. This is a fine looking piece for not a lot of money.